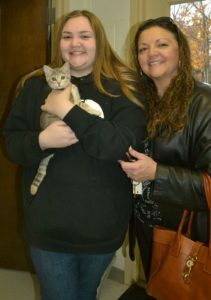 Thank you for adopting Manny from APS Caswell. We love to get updates on Facebook or by email. Wishing you and Manny happy times making new memories. Paco found his new family!! 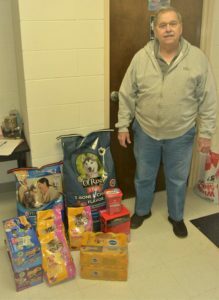 Thank you for adopting Paco from APS Caswell. Wishing you and Paco happy times making new memories. 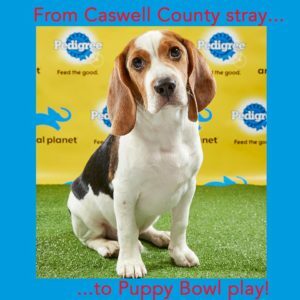 APS Caswell to the Puppy Bowl again!! 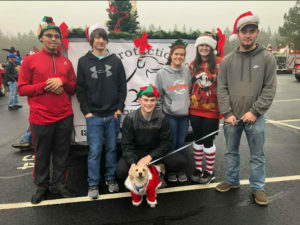 Remington is the fourth puppy from Animal Protection Society of Caswell County to be selected for the annual televised event. Remington has since been adopted through Bonnie’s Animal Rescue Kingdom in New Jersey. Bonnie Dickinson of B.A.R.K., who also filed for the previous chosen Puppy Bowl applications, said Remington will be on the show’s starting lineup, pregame show, and Puppy Play special feature. B.A.R.K. 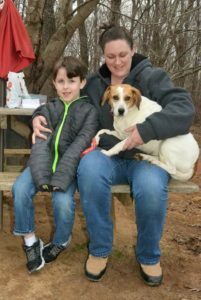 is a rescue operation that has been fostering dogs /puppies and finding them new homes from Caswell County for over a decade. 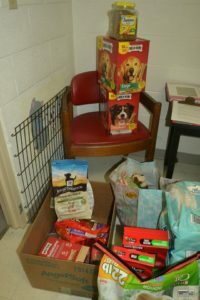 Many thanks to the Shelter staff, BARK and all the wonderful fosters and helpers!! Check out all the action this weekend on Animal Planet! Mandy getting hugs and heading home! Thank you for adopting from APS Caswell. Wishing you happy times making new memories. 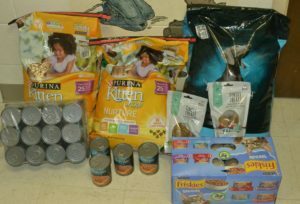 Thank you so much for all the wonderful donations over the holidays!! 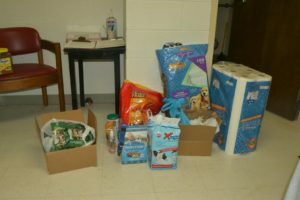 Below are just a few photos of your support and generosity. We can’t do it without you!! From the staff and all the pets in our care…a BIG Thank YOU!! 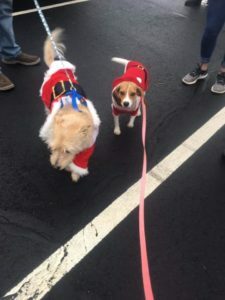 Fun at the Christmas Parade! 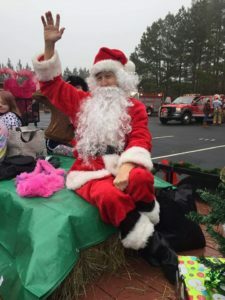 2018 Caswell County Christmas Parade! 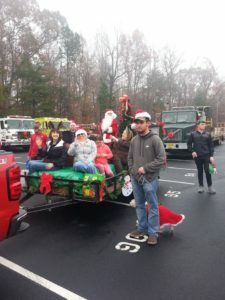 Thank you to our board members & their friends & family & the Bartlett Yancey Beta Club for all your help & hard work. 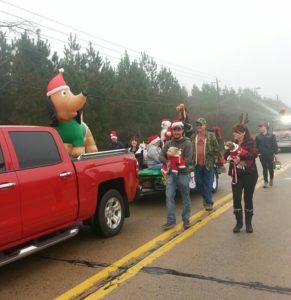 We had so much fun participating in the parade! 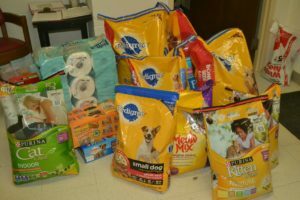 Score some Cyber Monday deals and help us by making Animal Protection Society of Caswell County your charity of choice. 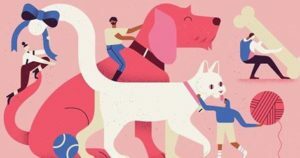 When shopping with Amazon Smile you can make sure the shelter receives a % of your purchase as a donation. Go to https://smile.amazon.com/ for more information. We are listed as Animal Protection Society of Northern Piedmont. 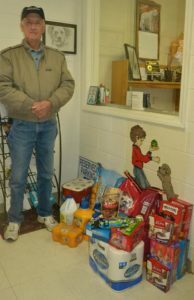 Please consider giving to the Caswell County Animal Shelter this holiday season. Our fundraiser campaign runs until December 8th, via Facebook. 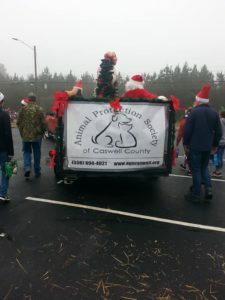 Thank you in advance to all of you that constantly support the animals of Caswell County!! 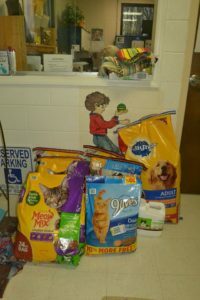 APS of Caswell County is pleased to accept a $250.00 donation from Dog Joy Books. 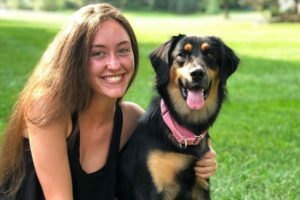 This summer Carolina Capuzzi, a high school senior in West Chester, PA, published the book Dog Joy to help raise awareness and money for dog rescue organizations. Profits from this book are being given to a number of the organizations featured in the book. 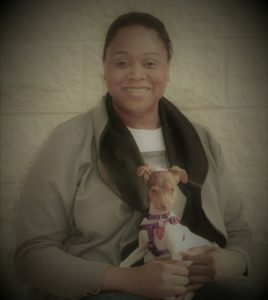 Chapter #25, the story of Pearl & Mattie, was submitted by a Caswell APS adopter, Dwight Chandler. 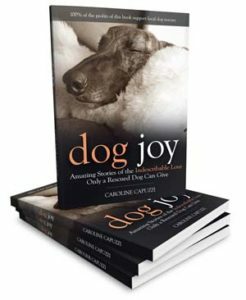 It’s a wonderful illustration of the full title of the book “Dog Joy”: Amazing Stories of the Indescribable Love Only a Rescued Dog Can Give”. 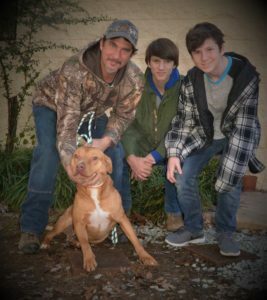 Thank you Dwight and Carolina for your adoption and support of our wonderful Shelter!